Yes, I know summer is over...sadly. :( But, I am looking forward to Fall and slightly cooler temps (just slightly cooler, not freezing yet, please!!!). 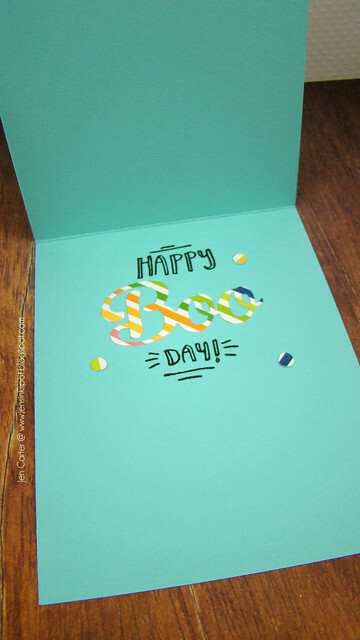 This card today is celebrating summer more than Fall but I am a color girl. I like lots of it! :) So, I couldn't resist! I told you there was color involved! 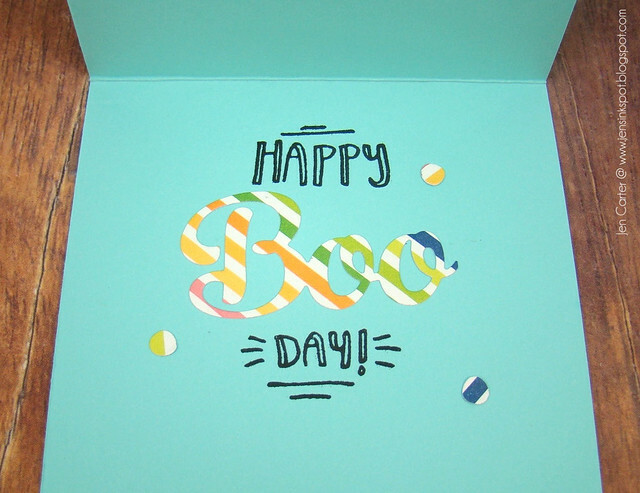 :) I really love this die and I had so much fun putting together this card. 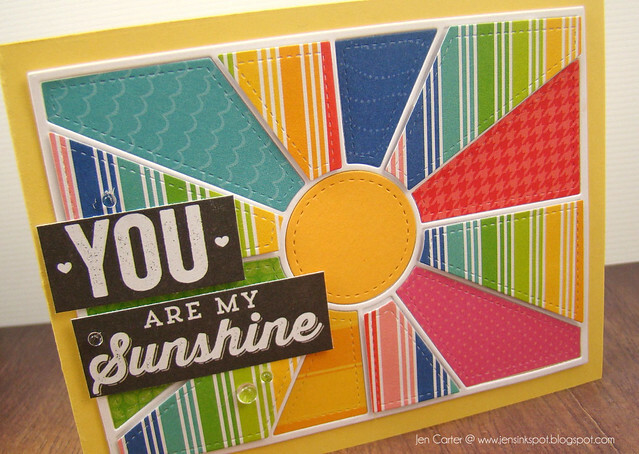 I pulled out a pack of patterned paper that had all of these bright fun, summer colors that seemed perfect to use with the new Sun Rays Quilted Card Panel die from Frantic Stamper. All of the multi-colored striped patterned pieces are popped up with dimensionals and all of the other rays are flat. I love the depth that it gave the rays! I used a plain colored cardstock for the circle in the middle to help break everything up. 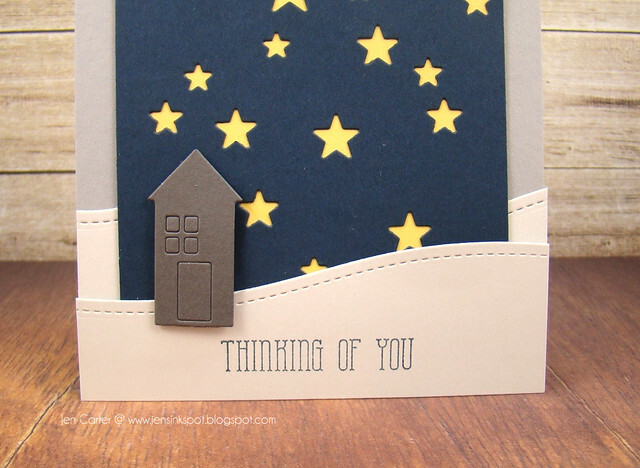 The sentiment was cut from a piece of patterned cardstock. 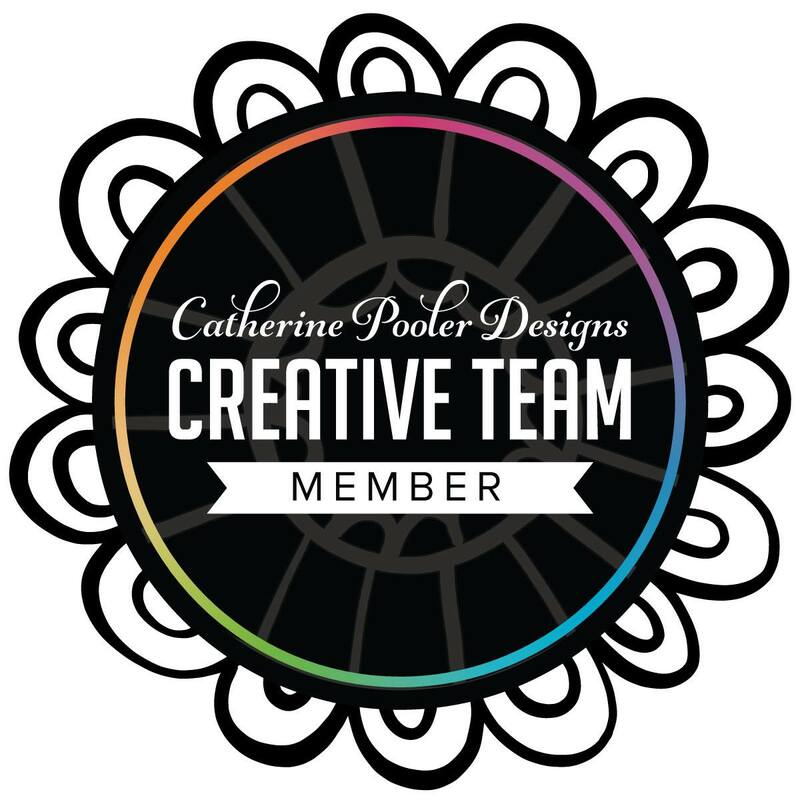 I knew it had to be black with white lettering to make it pop and this sentiment fit perfectly! Thank you for stopping by today! I hope you enjoyed the card! Good luck with the giveaway! 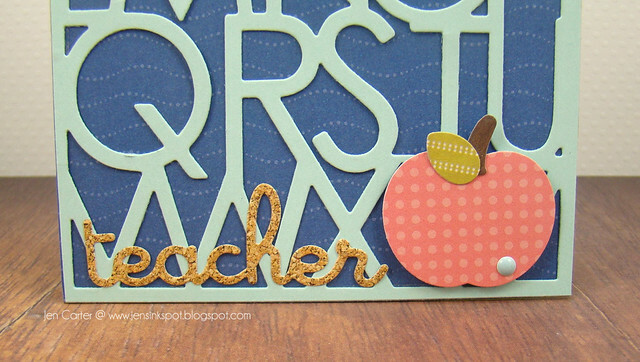 I have an simple Fall teacher's card to share today. 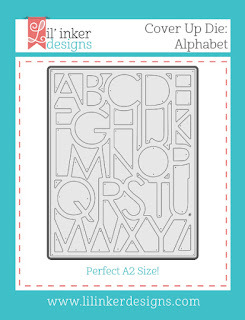 I started by die cutting the cute Cover Up Die: Alphabet from Lil' Inker Designs. I LOVE this die! 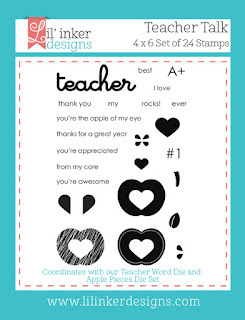 It is perfect for teacher cards! 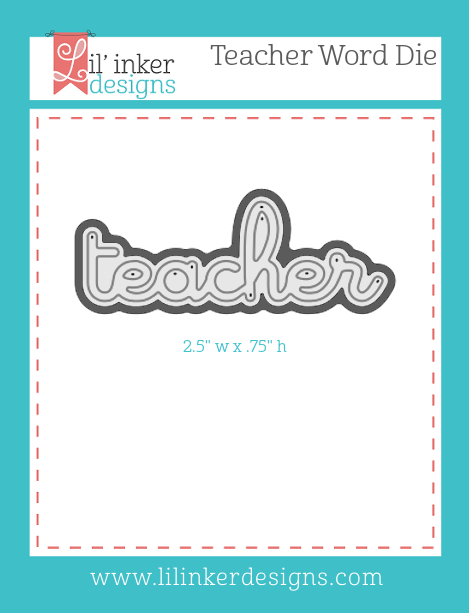 I used cork patterned paper to die cut the Teacher Word Die. 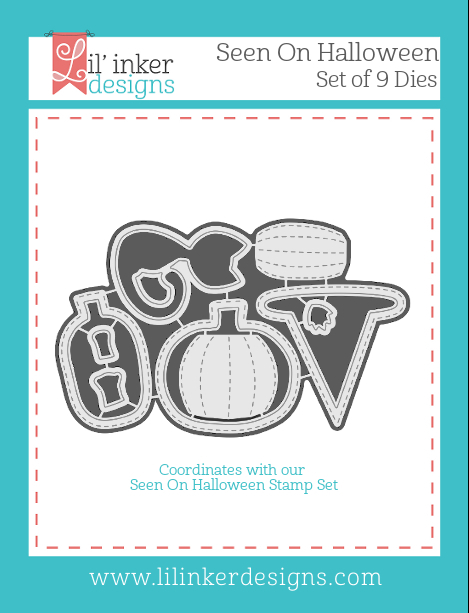 The apple is from the Apple Pieces die set that has lots of fun options in it! This was such a simple card to make but I really like how it turned out! Hello! Today I have another video to share with you. 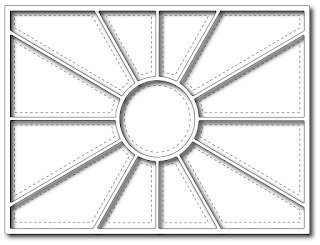 It has been requested by quite a few customers of Frantic Stamper for a video on how to use the new Woven Card Panel die and I thought that that was a request I could help out with. Thanks for watching! Below is the finished product of the card I made in the video. I'll share the details of the second card in a later post. 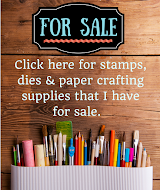 I haven't posted my list of stamps for sale for a while and I thought now was as good of a time as any! Thanks for looking! I will not update this page as products sale, but you can check HERE for a current listing. I accept Payment as payment. You can contact me by email via the sidebar on my blog. Look for the "Contact Me!! Send Me An Email" function on the right! Thanks for looking! 2009 CHA T-shirt Think Ink, white, size 2XL (worn once, washed once): $10 (I had a hard time finding pictures. Front of the shirt (it's white). Here's one of the back. Some of the DT wearing them. Guess what? It's time for a giveaway! Frantic Stamper is having a giveaway and it just happens to be on the Sun Rays Quilted Card Panel die that I used on the card I shared Monday! 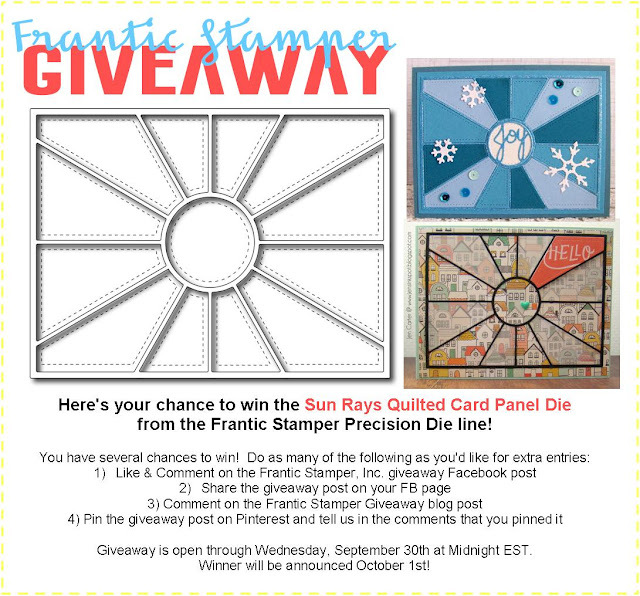 You have until midnight EST on September 30th to enter! See the details below! 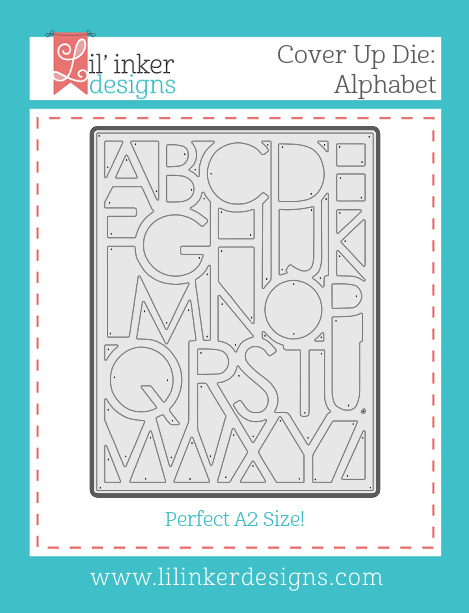 I'll be back before this giveaway ends to share another card I've made using this cool new die! Playing with words can be a lot of fun. When I was designing for the last Lil' Inker Designs release, I came up with a fun way to use the Boo Word die. I started with the outside of my card. 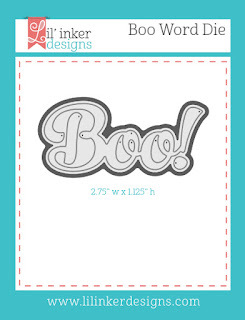 I die cut the boo with patterned paper using the Boo Word die. 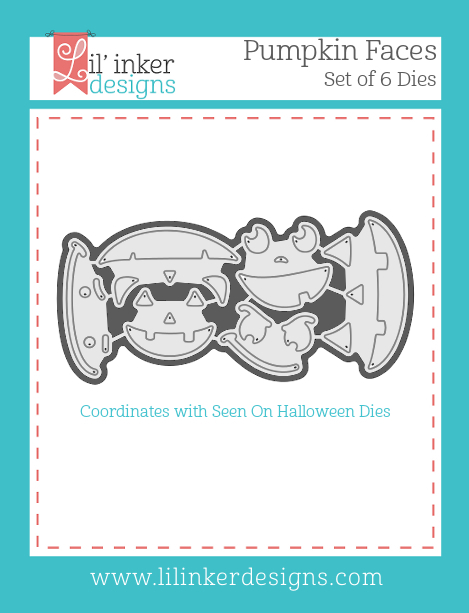 I used the Pumpkin Faces Die Set to cut the cute face at the bottom of the card. 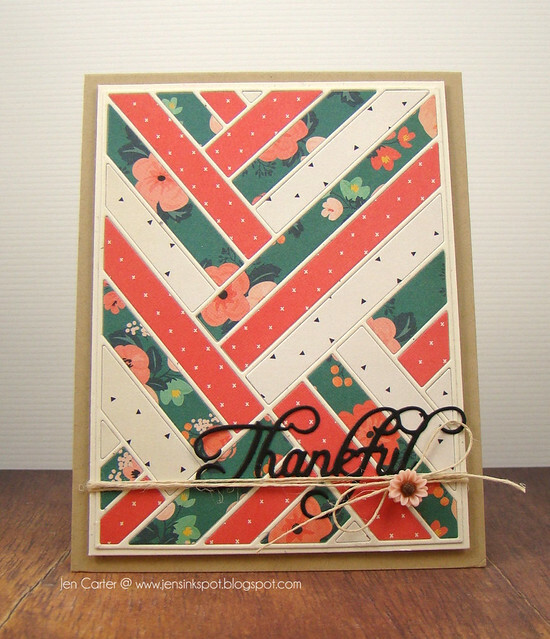 Here's another view of the card so you can see how I layered the patterned papers. 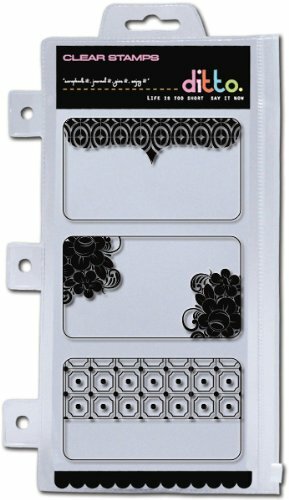 When you open up the card, this is what you see on the inside. I thought that this could either be used for a fun spin on a birthday card or as a Halloween card! 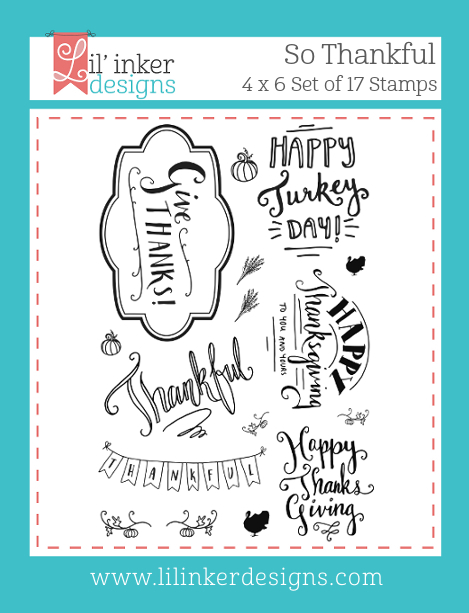 I used the So Thankful stamps to stamp the "Happy" & "Day!". I masked off each word to stamp. 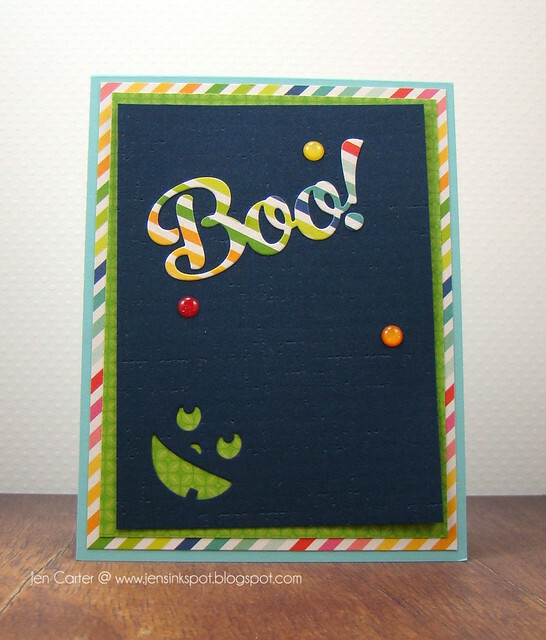 Then, I cut out another "boo" with the Boo Word die that matches the outside of the card. The little circles are what the "!" on the end of the boo die cuts but I cut that part off of the inside boo and had several of them left over. They made perfect accents! 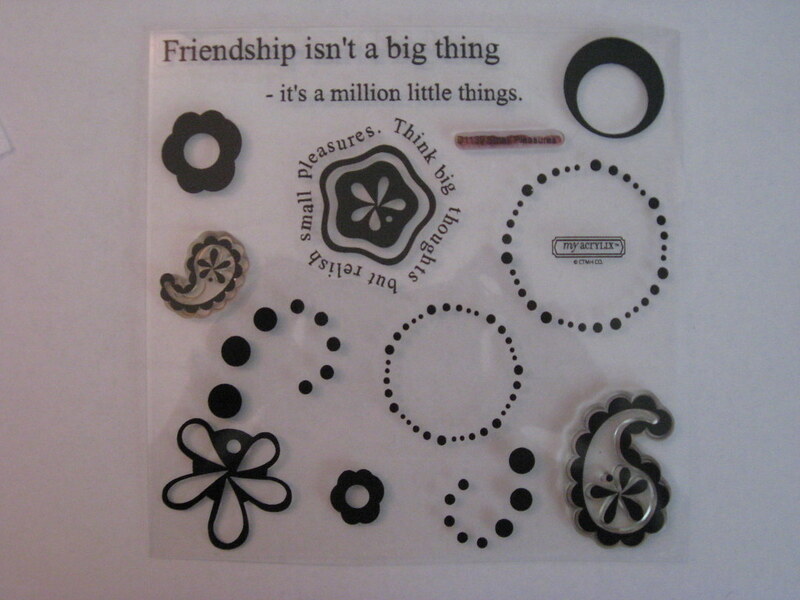 I'm going to link this up at the Simon Says Stamps Die Crazy Challenge! Hello everyone! This weekend I spent some time at my craft table and I had a great time! Today's card was the favorite of the group that I made and is on the artsy side. 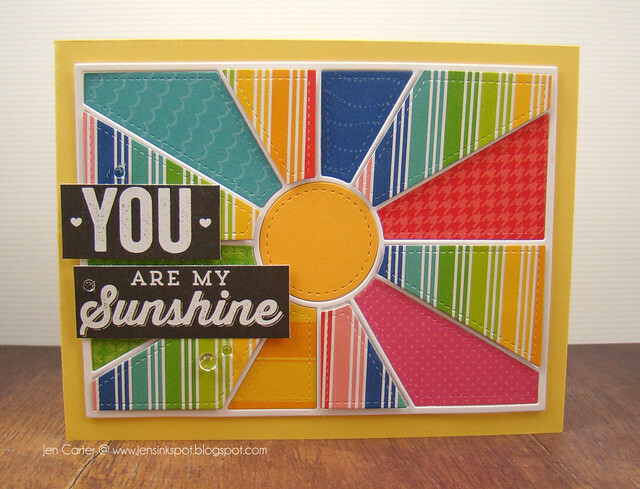 I was inspired to try something different with the Sun Rays Quilted Card Panel die from Frantic Stamper. I decided to use it to make a focal point. To do that I cut black cardstock using the die first, and then cut vellum with it again a 2nd time. 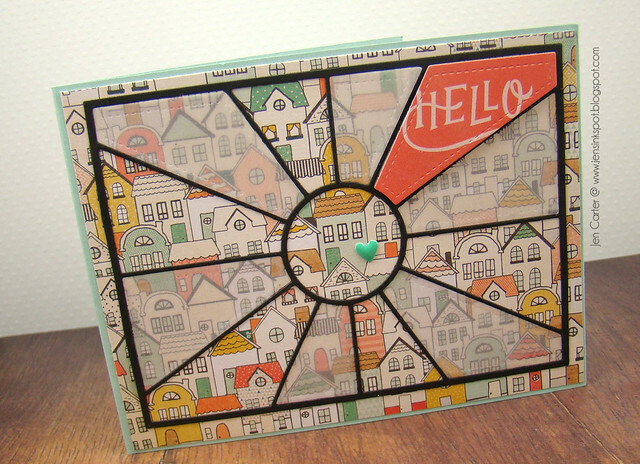 After figuring out which house I wanted to highlight on my background patterned paper, I centered the circle around that house and then added an aqua enamel heart to the side of the house to draw more attention to it. 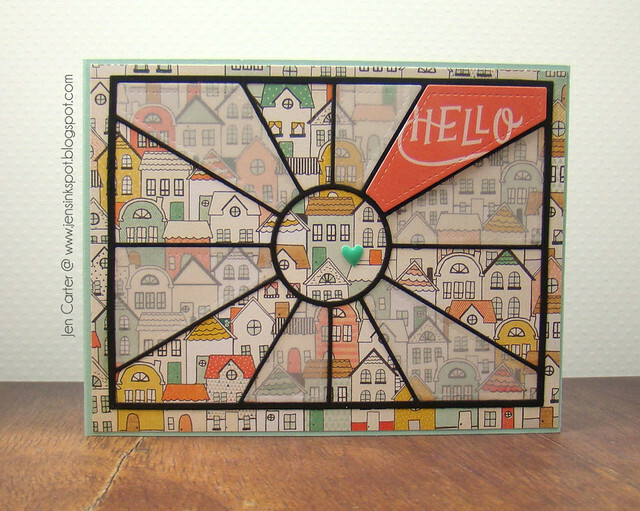 I made my sentiment panel by using one of the negative pieces that I had previously cut as a guide and then laid my die where I wanted it (using the guide to line it up) so that it would perfectly cut out the hello patterned paper sentiment. I popped that up with foam tape. Starting by framing the sentiment on both sides, I took my vellum pieces and placed them in every other ray. I used clear glue around the stitched edges to adhere the pieces. Because of the pattern under the vellum you can't see the adhesive at all. I'm entering this card in Virginia's View Geometric Patterns Challenge #18. I hope you have a great day! 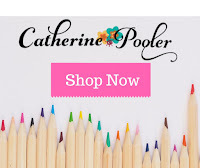 Thank you for taking a peek at my blog today! Hi all! 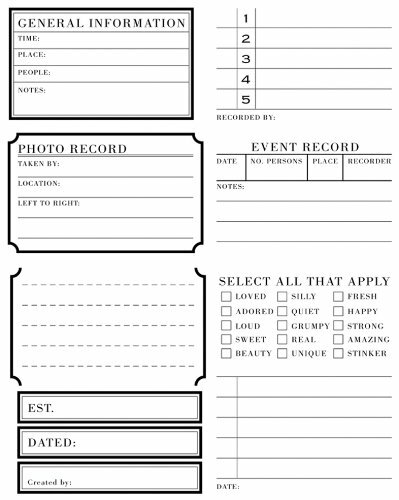 I have a card to share today that I made quite a while ago but I've never shared! It fits in with the Fall theme that is just around the corner so it seemed like a good time to share it. 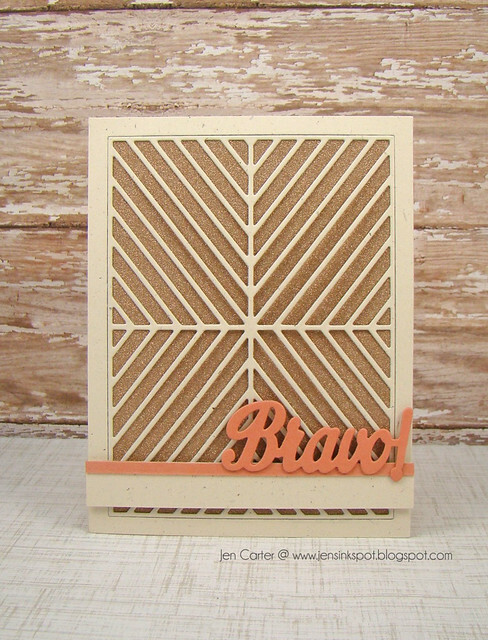 I started by cutting rustic cream cardstock with the ultra cool Alternating Diagonal Card Panel by Frantic Stamper. I then layered it on top of a piece of gold glitter paper. I love the shine that it gives! Here's a closeup so you can see the glitter behind the panel. 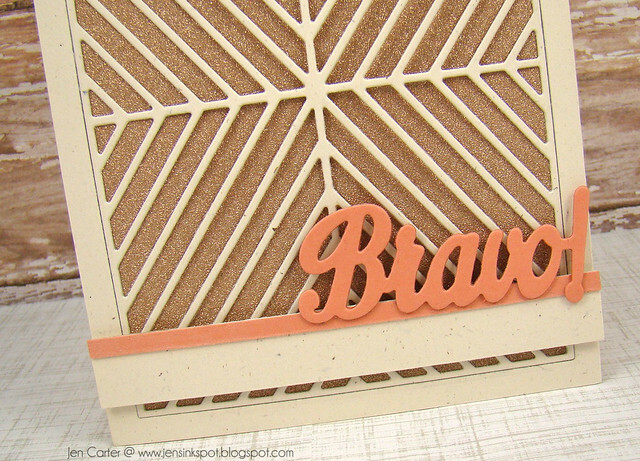 The "Bravo!" 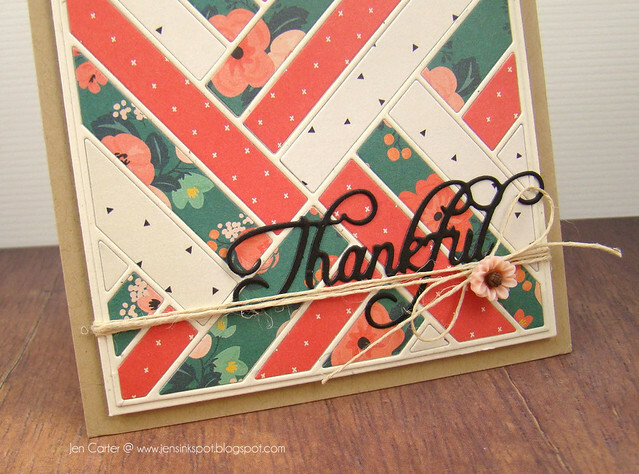 is one of my favorites and is from the Accolades die set. I really like the size & font of this sentiment! 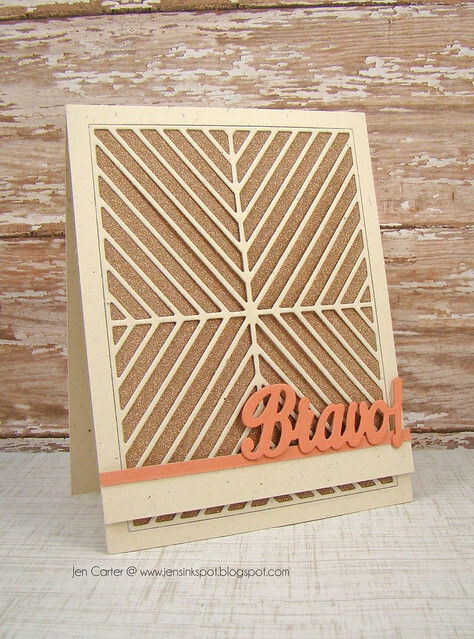 I layered it on top of a piece of coordinating carstock and on a larger piece of the rustic cream cardstock that I used for the rest of the card. Thank you for stopping by today! I hope you have a wonderful weekend! 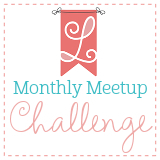 Hello and welcome to Lil' Inker Designs September Monthly Meet-up Challenge! Details on the challenge are below. If you participate, just by designing something (ANYTHING) using Lil' Inker Designs, you could have the chance to win a generous prize! 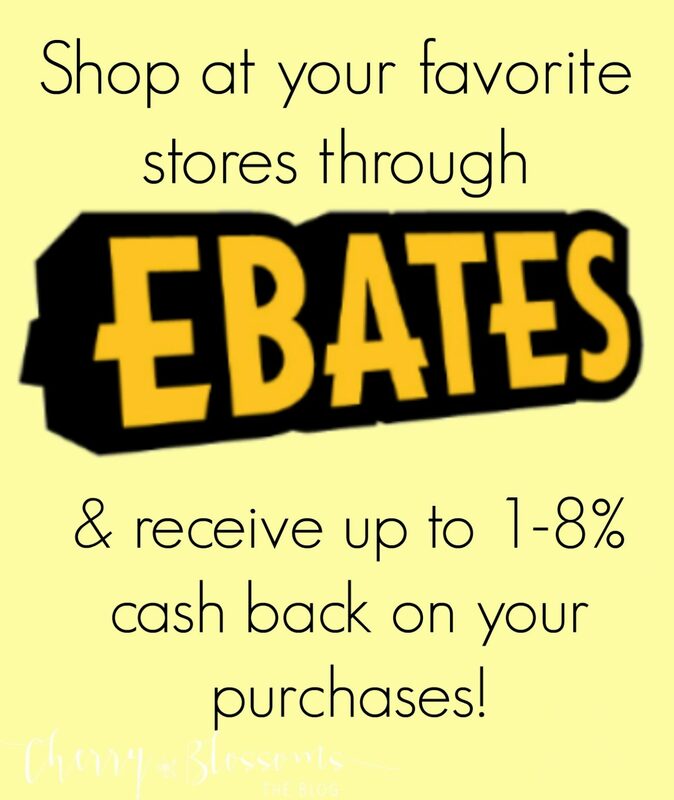 And there's a sale too! The beautiful Cover Up Die: Leaf Pattern you see in our inspiration photo above is on sale for just $14.99 (while supplies last) through September 18th! 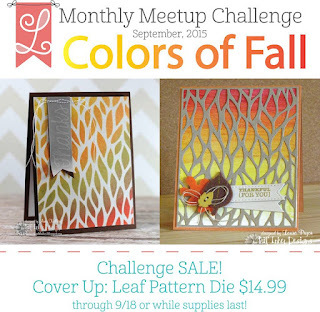 For my card today, I was inspired by the Fall theme and Fall colors. 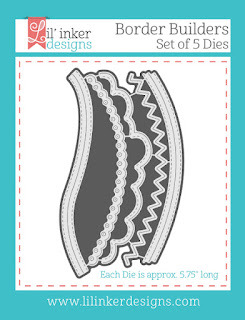 I started by die cutting the tall, skinny pumpkin from the Seen on Halloween die set three times. 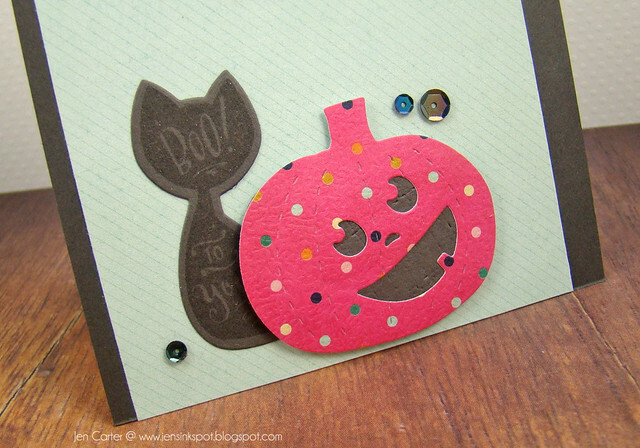 On the two pumpkins that I cut with patterned paper I used the stitched insert. I love this option! 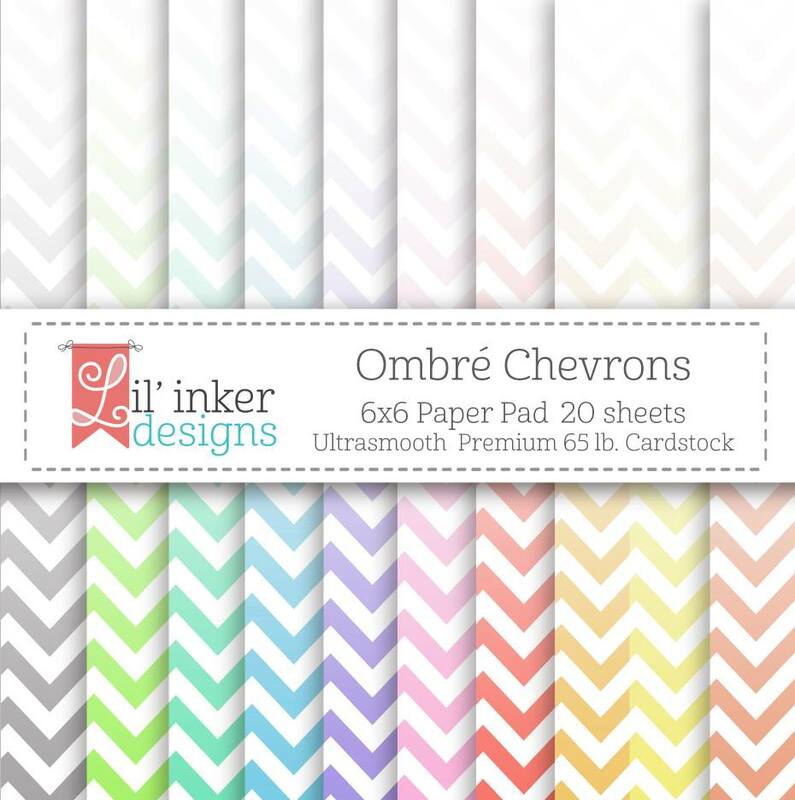 The orange ombre chevron pumpkin was die cut from the Ombre Chevrons Paper Pad from Lil' Inker Designs. On the white die cut I stamped the gorgeous pumpkin from the coordinating Seen on Halloween stamp set. 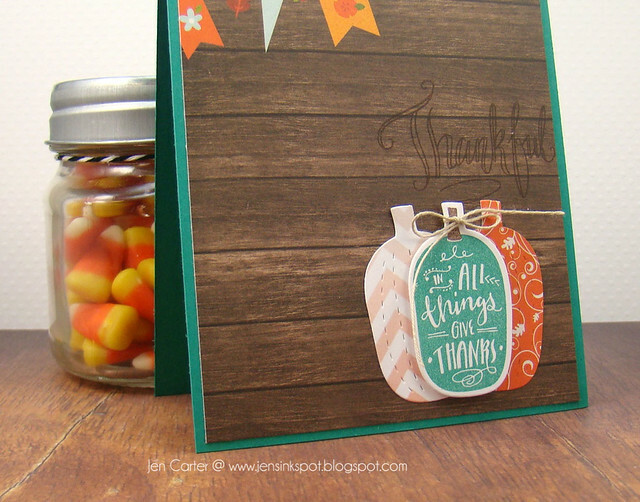 I used the new So Thankful stamp set to stamp the "Thankful" above the pumpkins in a dark chocolate ink. 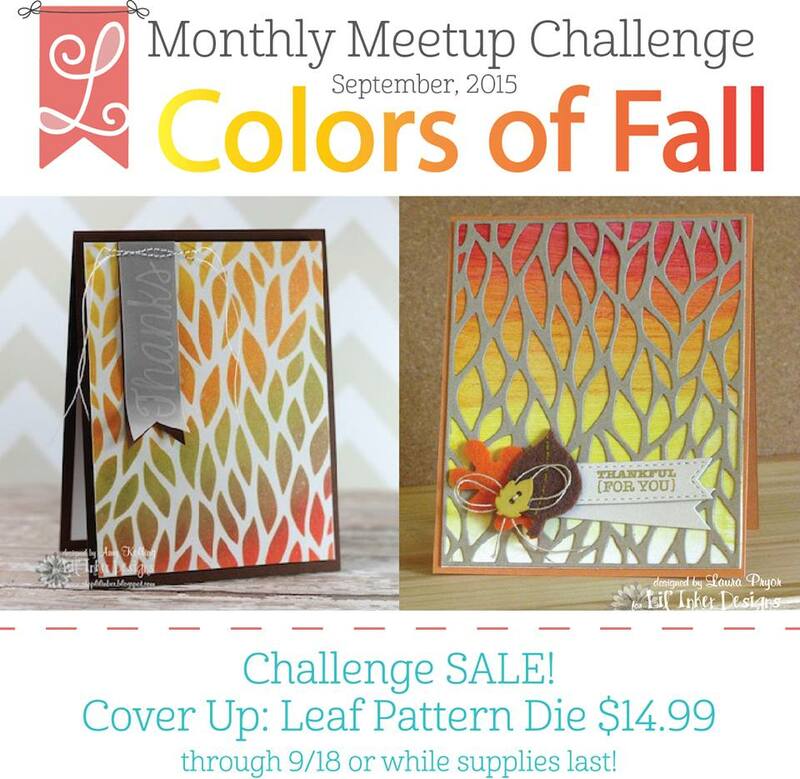 Through the end of our challenge on 9/18, we have a special sale for you! 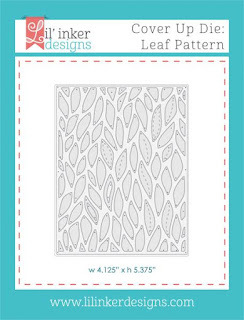 The beautiful Cover Up Die: Leaf Pattern you see in our inspiration photo (and below) is on sale for just $14.99 marked down from $21.99 (while supplies last)! You know how it is when some dies just caputre your attention? 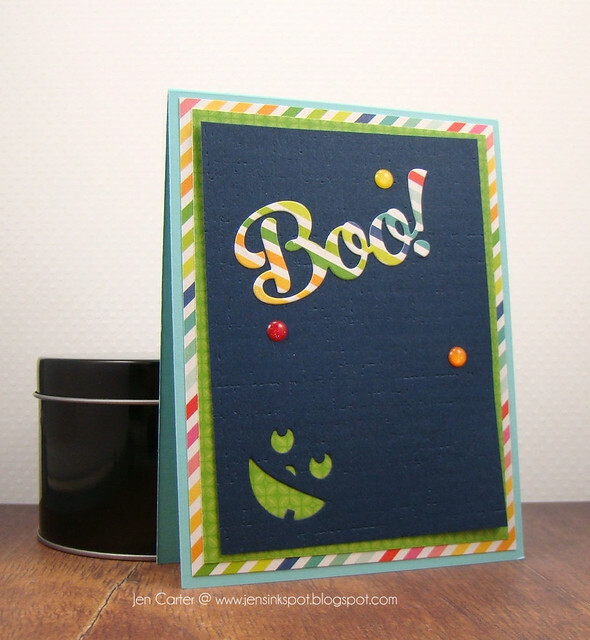 That's how it was for me when I saw the Starfall Reverse Cut die from Frantic Stamper! I put the die to use on this CAS card. 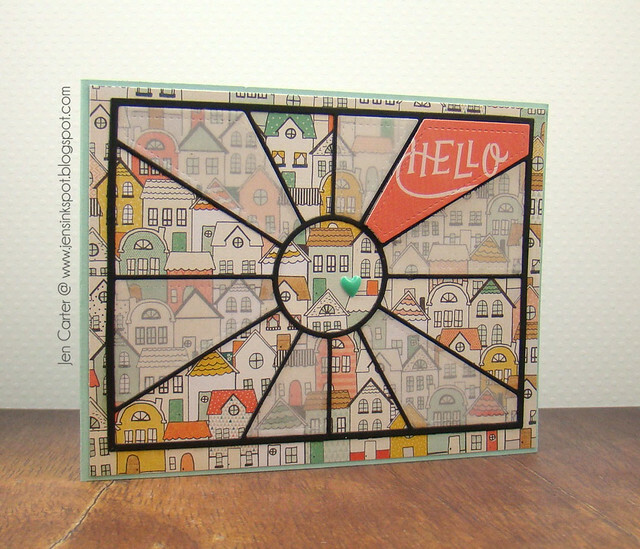 I love that the star panel is smaller than a cardfront so it can be used in so many ways! 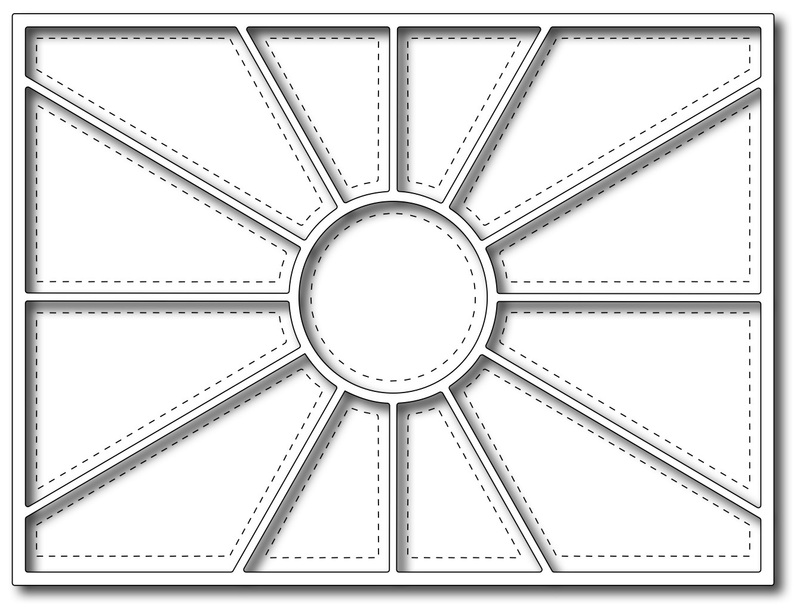 For this particular card I made it into a mat by cutting around it and then rounding the top corners. 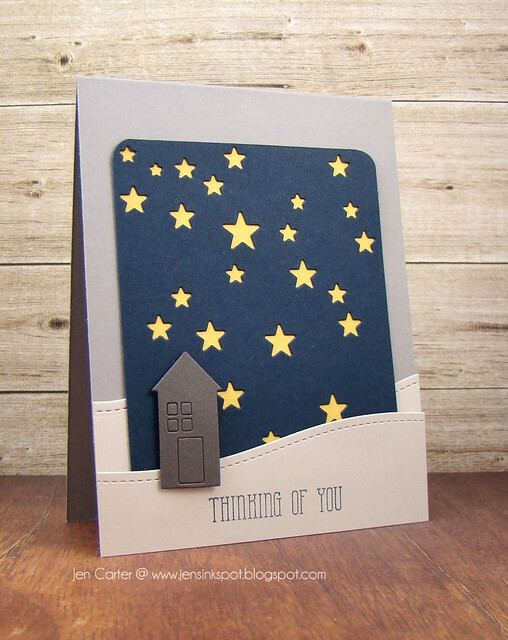 I backed the dark blue paper with a bright yellow cardstock. The house is still one of my favorites called Suburb Houses. 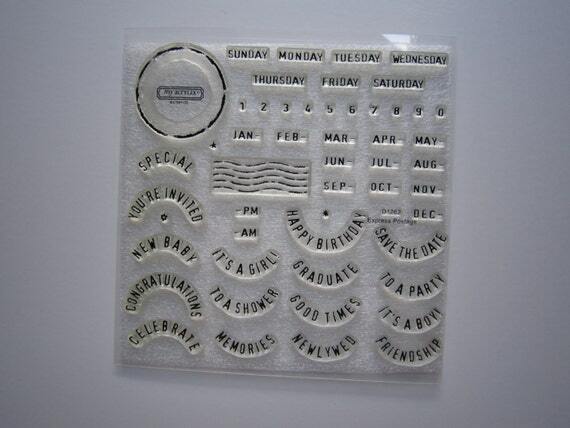 I die cut it with dark gray cardstock. 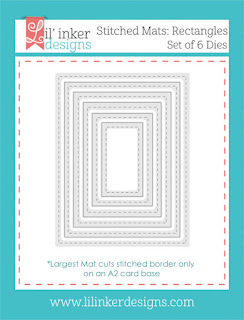 I created the hills with light gray cardstock and cut them using the Stitched Scene Builder Edgers dies. It really is very simple! Thank you for joining me today! Hope you have a great holiday weekend in the USA! First up is a card made with a stamp set that I just love called Teacher Talk Stamps. This set is a modern twist on apples that just makes me happy! :) There are SO many ways to use this set too. I used this one with other teacher products releasing this month but you could easily use this set for lots of Fall projects too! 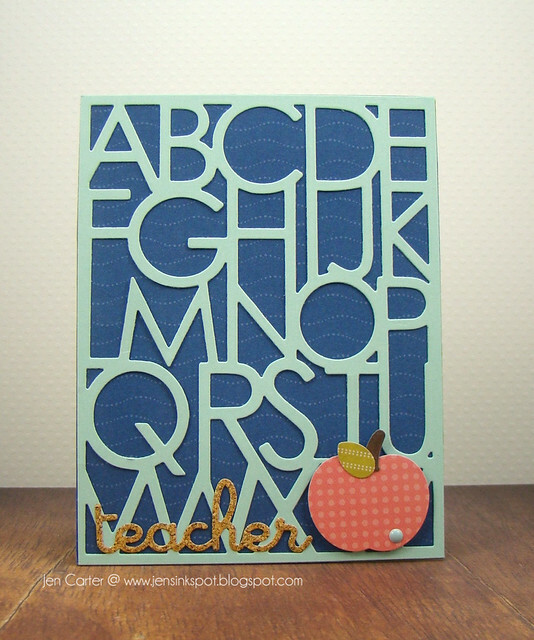 I started by stamping my apples in lots of fun colors. Then, I randomly stamped the 1/2 heart stamp & seeds on a few apples. 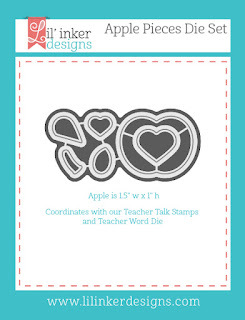 I used the new Apple Pieces die set to cut one out and pop one of the apples up. 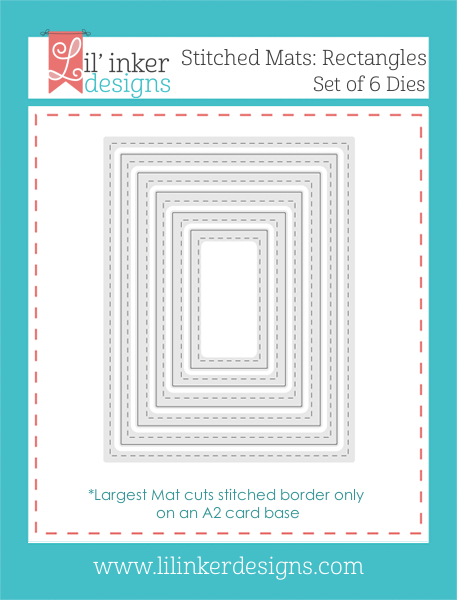 To cut my card frame, I used the Stitched Mats: Rectangles dies since the largest die doesn't cut, but only stitches the card front. 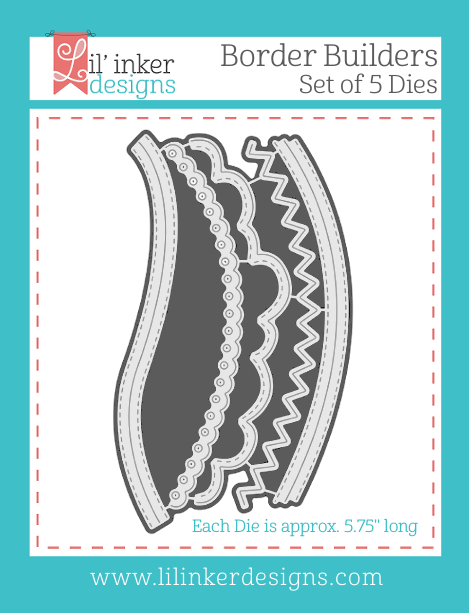 Then, I used one of the Border Builders dies to create the bottom curve. The awesome Teacher Word Die was cut 3 times in black & then adhered together for dimension. 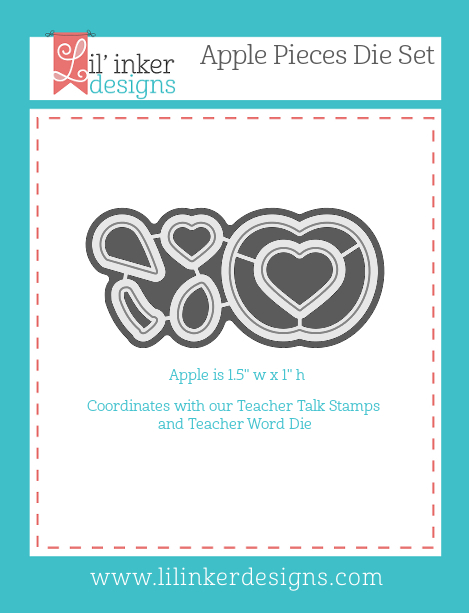 I used the Teacher Talk Stamps to finish the stamped sentiment. 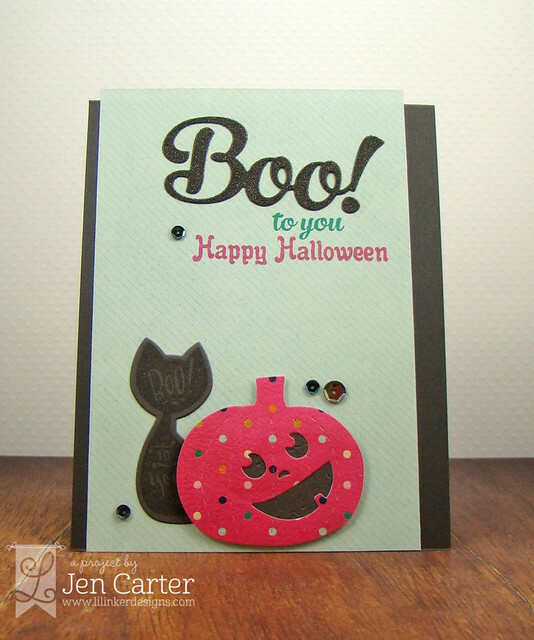 For my last card, I went all Halloween and used quite a few new sets. 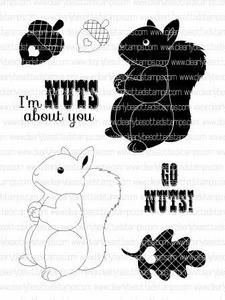 For the sentiment at the top I die cut the cute Boo Word die from black glittery paper. 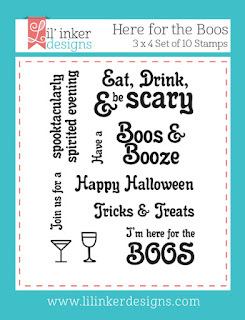 The "to you" was stamped from the new Boo & Faces 2 Stamps and the "Happy Halloween" came from the new Here for the Boos Stamps. 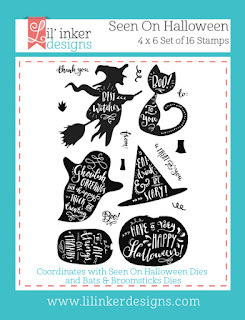 For the bottom portion of the card, I die cut the cat from the Seen on Halloween die set & then stamped the image with the coordinating Seen on Halloween stamp set. 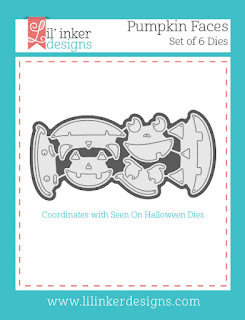 For the pumpkin, I also die cut it with the Seen on Halloween die set. I love how the pumpkins in this set work! 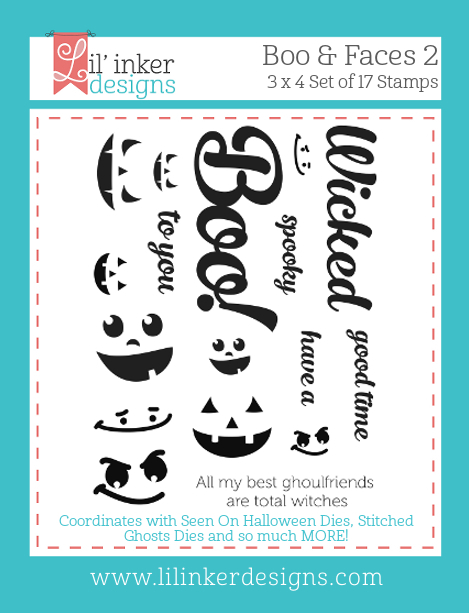 You can cut the pumpkin with or without the stitched lines! After I die cut the pumpkin, I used the Pumpkin Faces dies to add in the fun face. That's all I have today. Thank you so much for visiting this week! Don't forget to leave a comment to win. The more blogs you comment on, the better your chances are of winning! 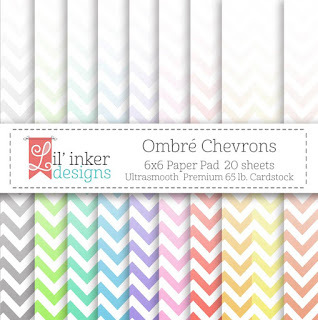 All of the Lil' Inker products that I've used are linked below & are available at the Lil' Inker Designs store now! 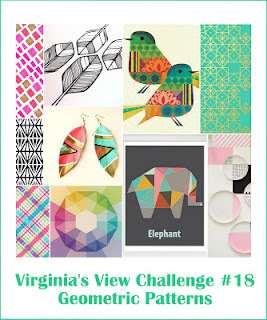 Your next stop on the hop is over to Sarah Jay's blog!